Der Artikel Herbie Hancock (geb. 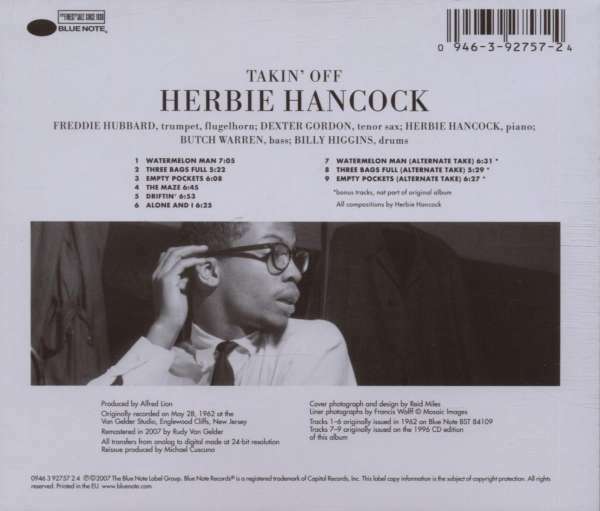 1940): Takin' Off (Rudy Van Gelder Remasters) wurde in den Warenkorb gelegt. 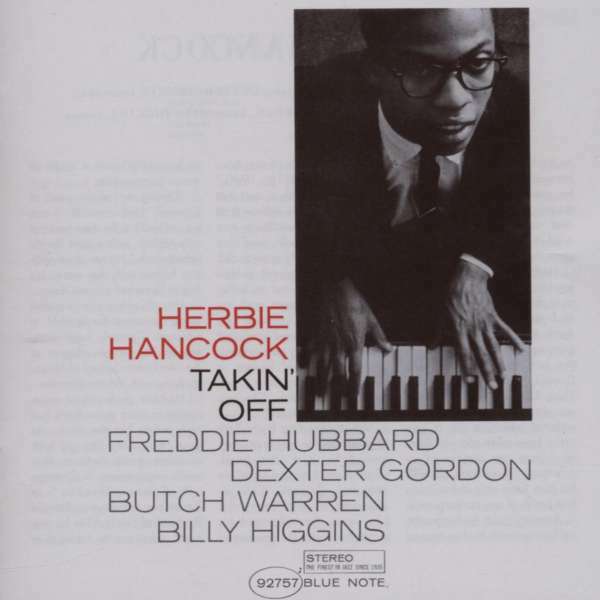 Pianist / composer Herbie Hancock was a year away from joining Miles Davis when he made his debut album on Blue Note, but his extraordinary talents were already apparent to those who heard him. 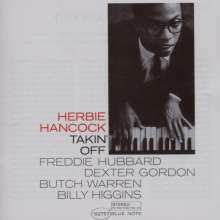 With an exceptional line-up that features Freddie Hubbard and Dexter Gordon, Hancock recorded six compositions that showed a great composer in the making and one who could balance intelligence and appeal beautifully. Added to the original album is three alternate takes, including ?Watermelon Man? and the souful "Empty Pockets."